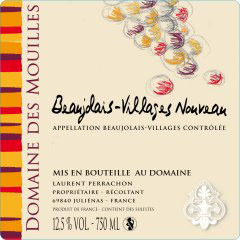 Every year we produce some Beaujolais Villages "Nouveau". This wine often belittled is appreciated by our clients and friends. We apply all the care necessary to give it a personality that is sometimes lacking with the high volume Beaujolais nouveaux you find in retail stores. Wine lovers throughout the world recognise the wines for their light red, red-currant or cherry-red colour and their typical fruity, fresh, floral aromas and flavour. Serve at 10°C, perfect for all occasions.